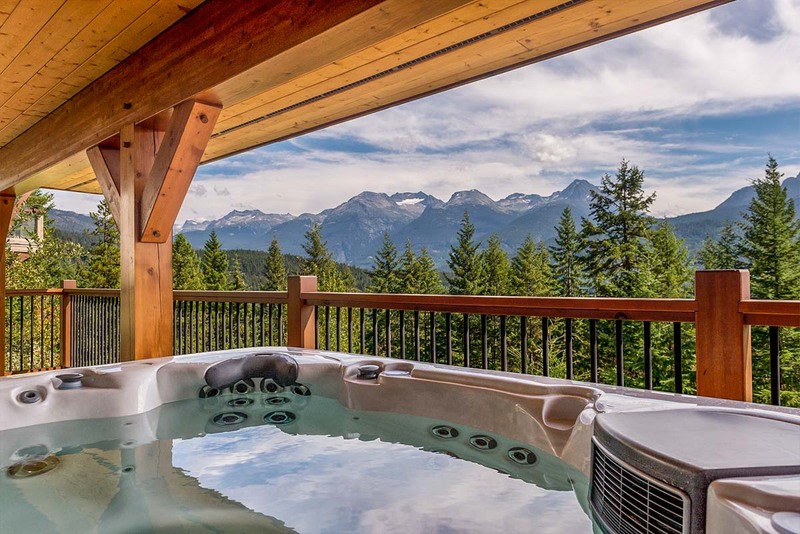 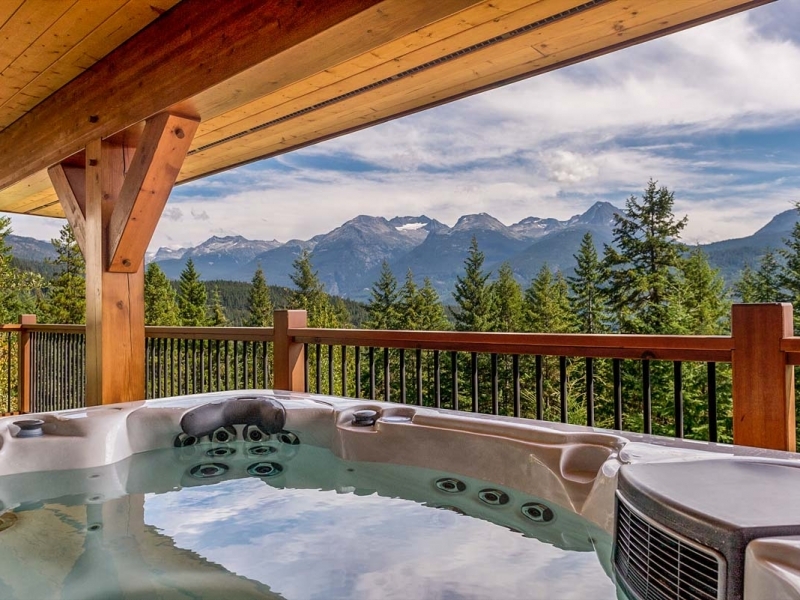 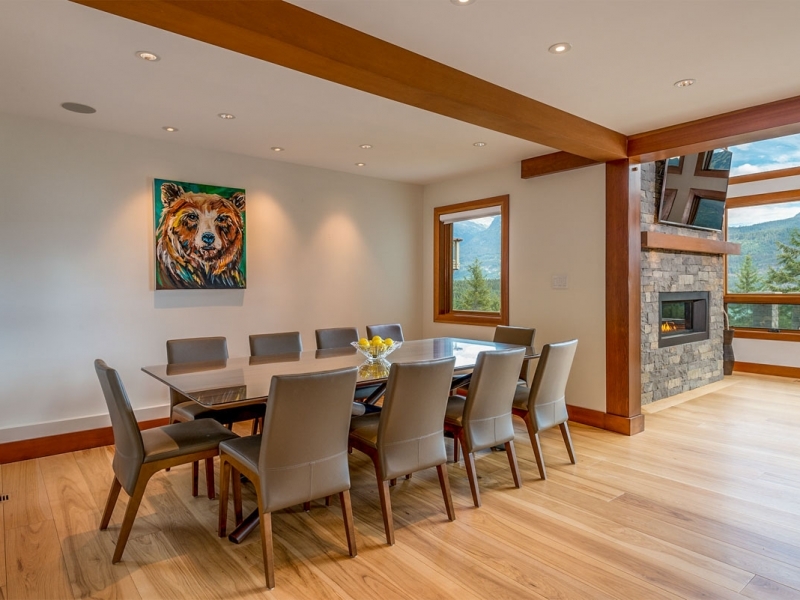 This immaculate 4 bedroom log home is located in a very private setting in Whistler Cay Heights, walking distance to Whistler Village gondolas, shops, and restaurants. 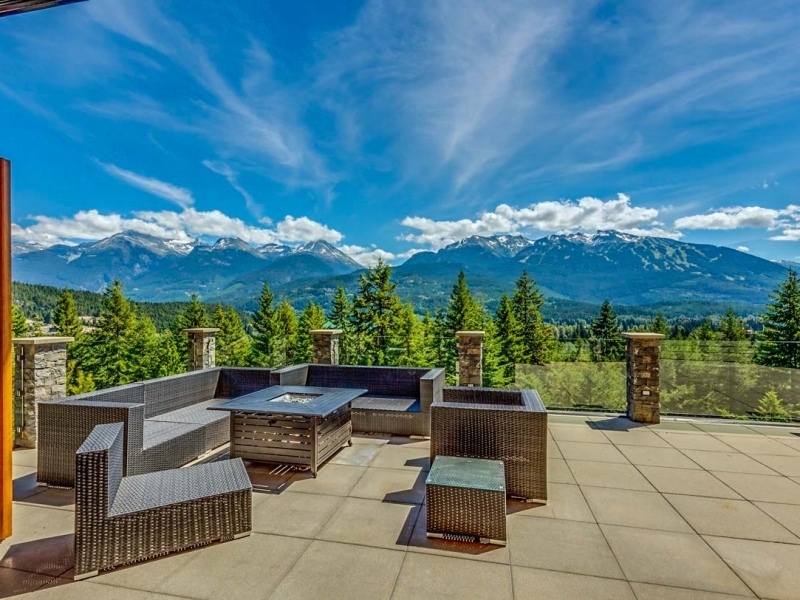 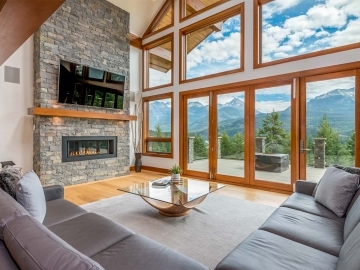 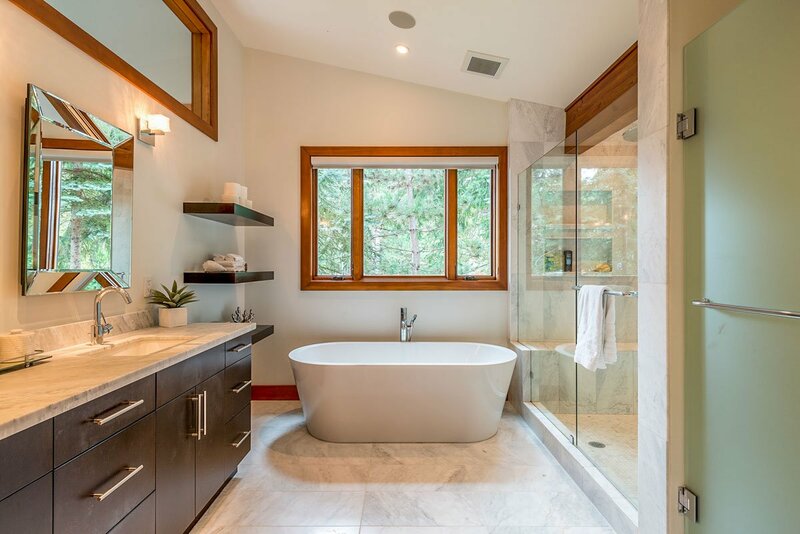 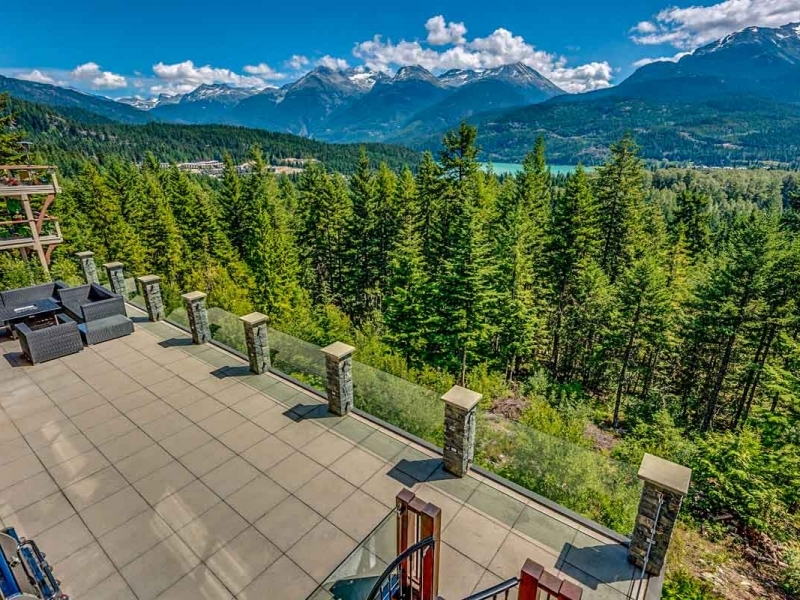 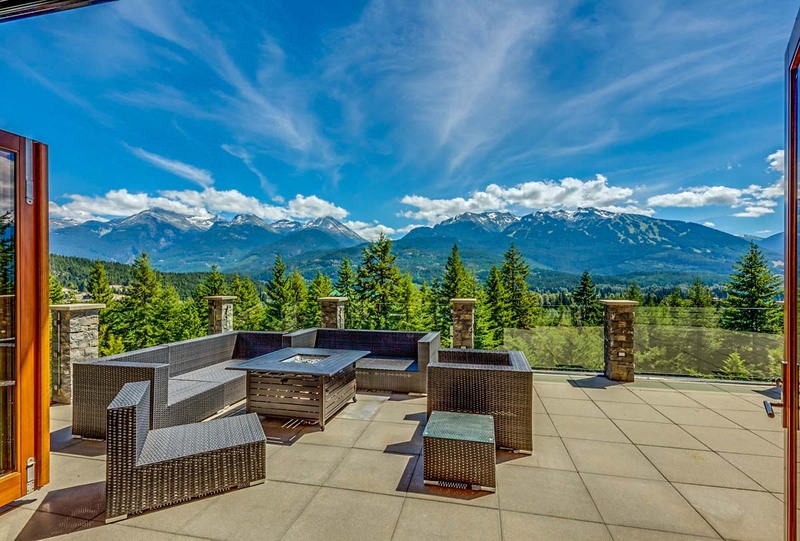 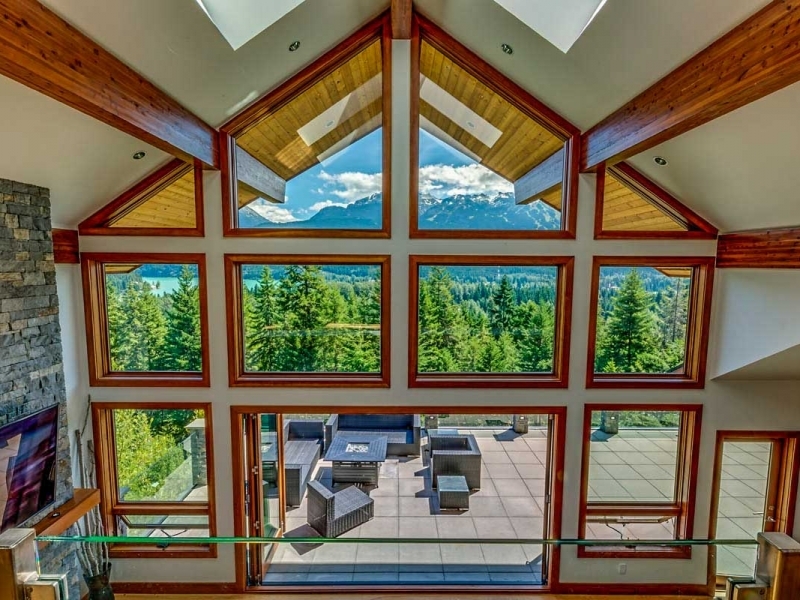 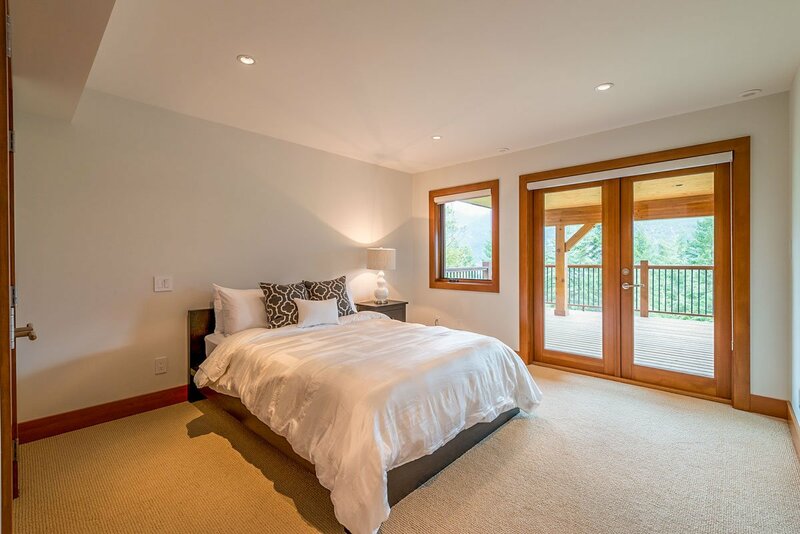 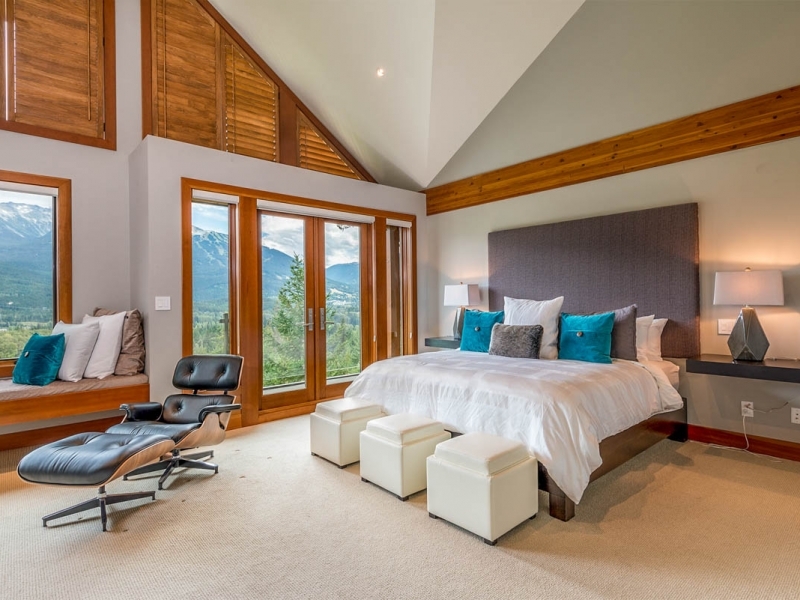 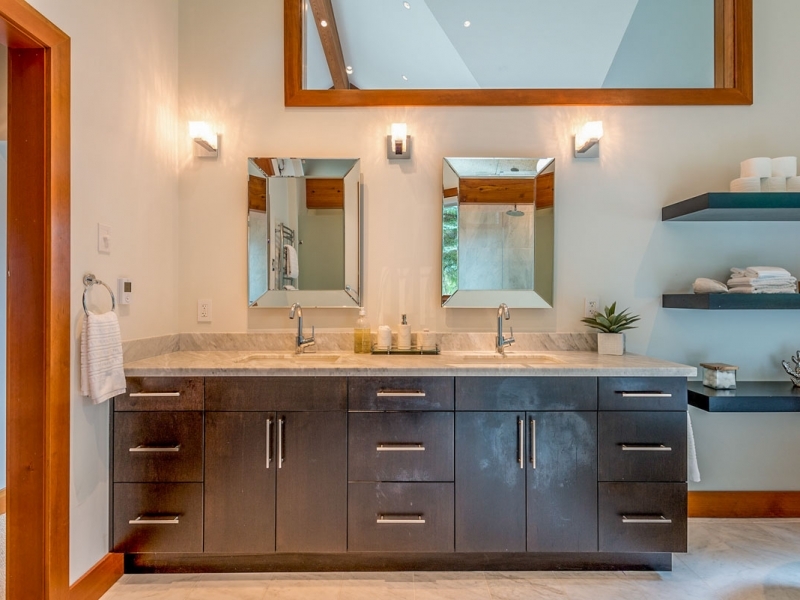 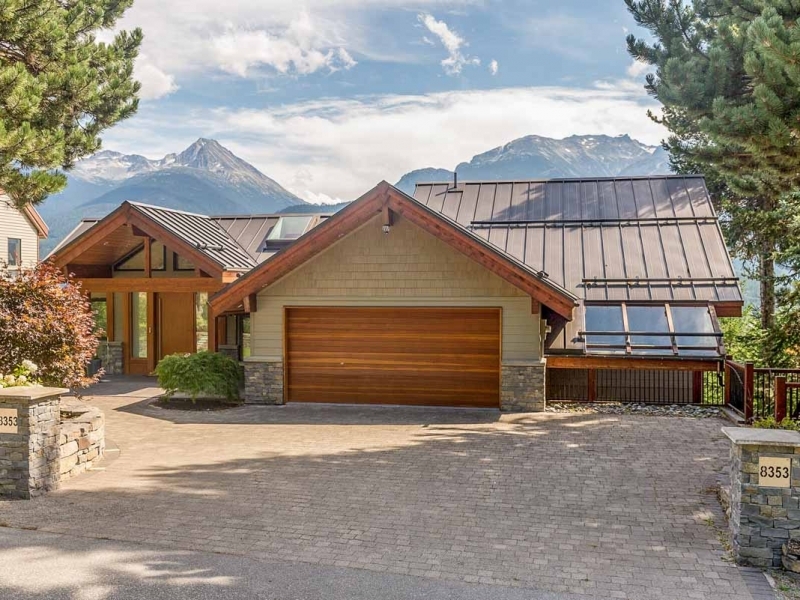 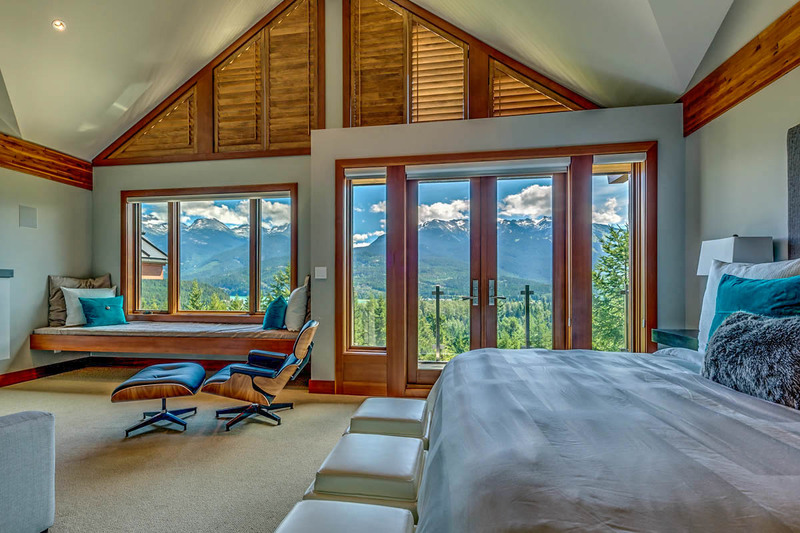 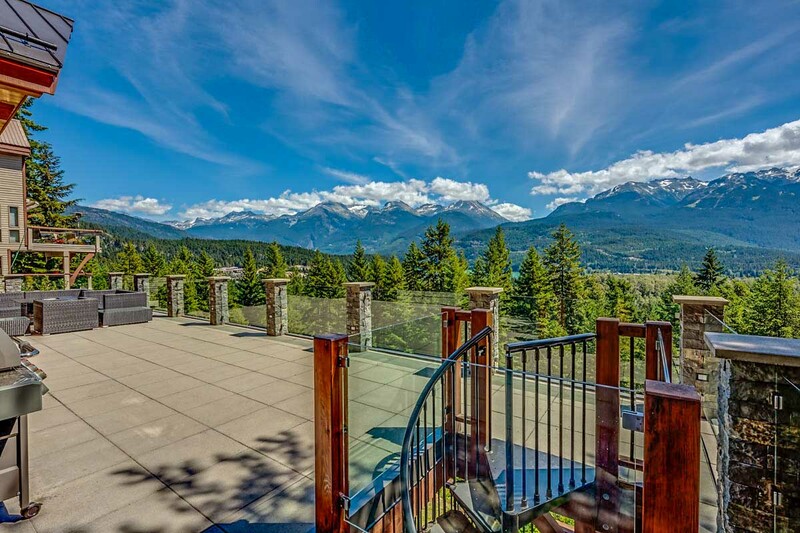 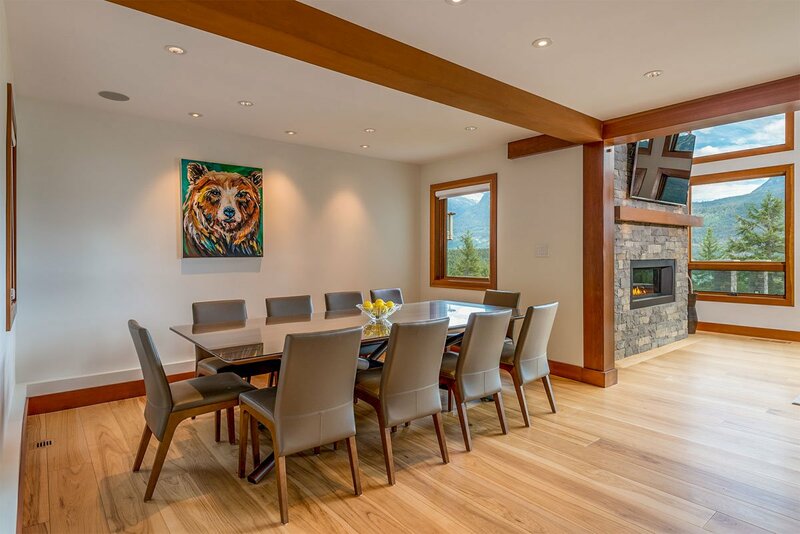 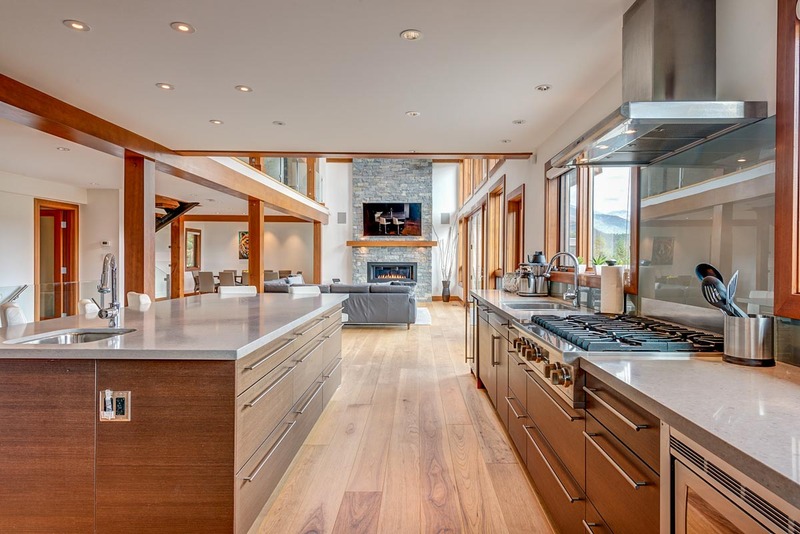 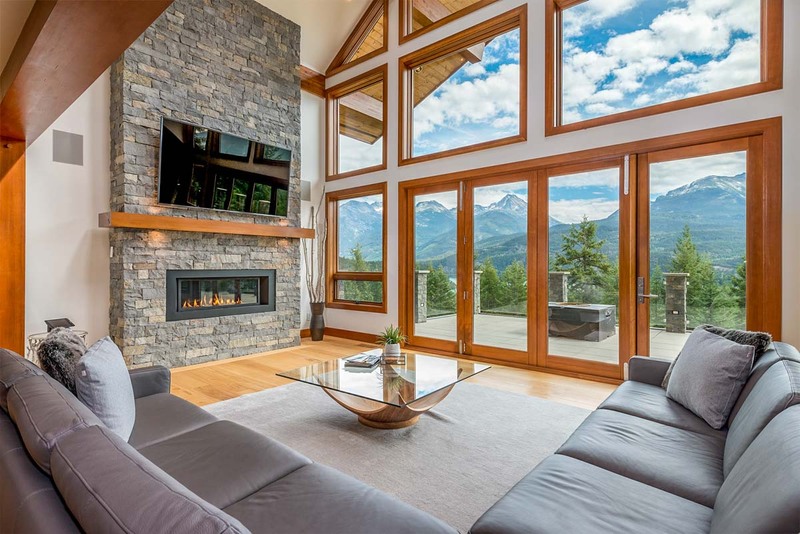 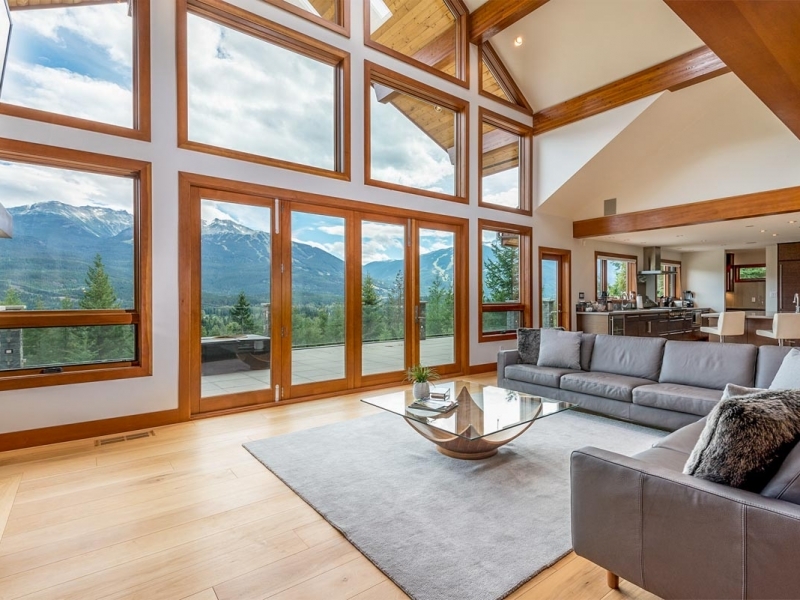 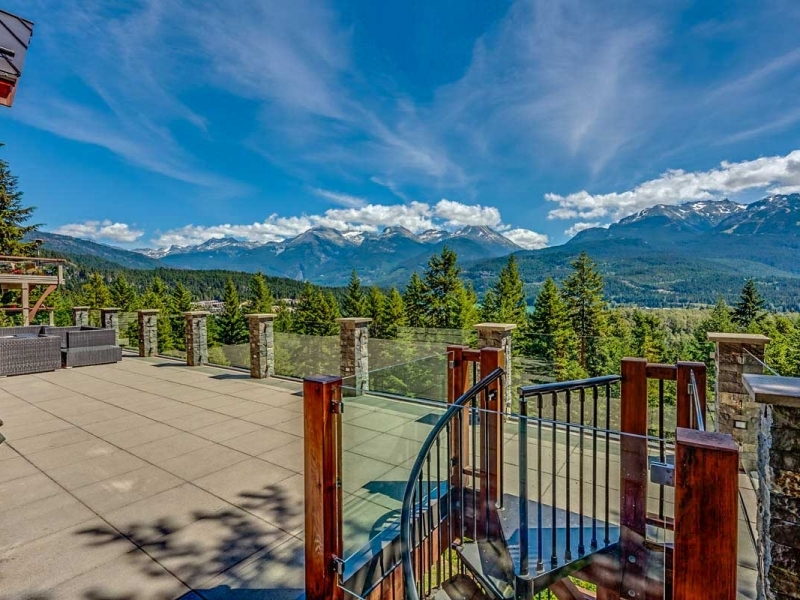 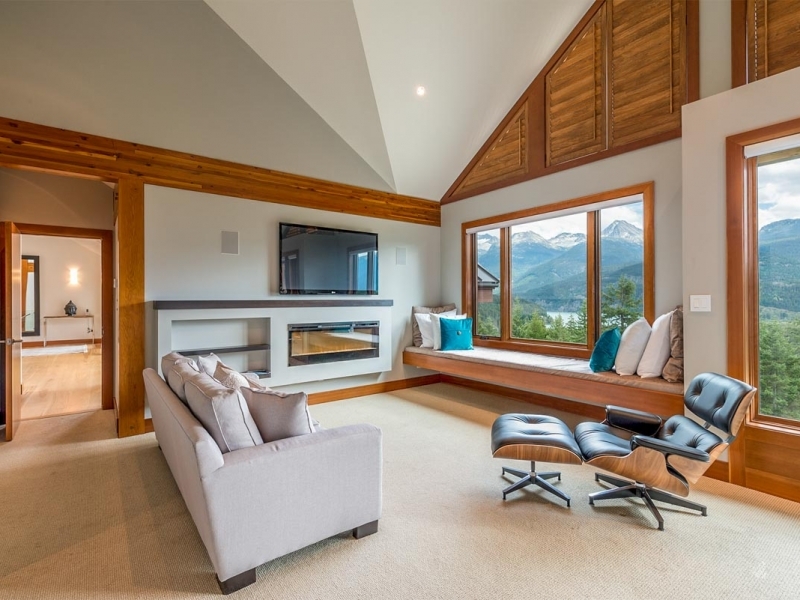 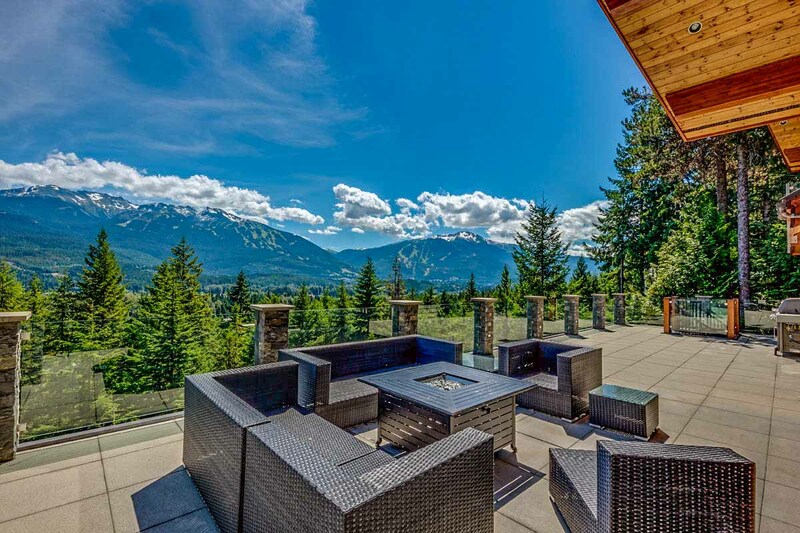 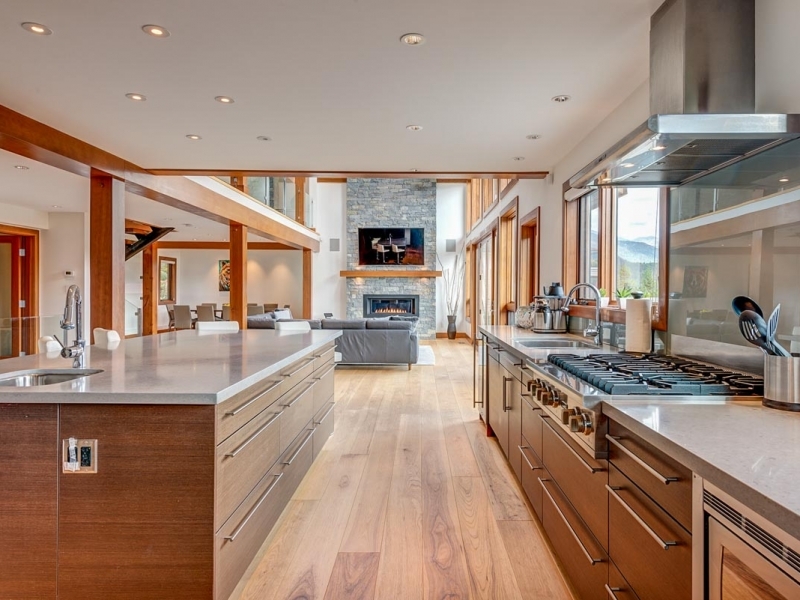 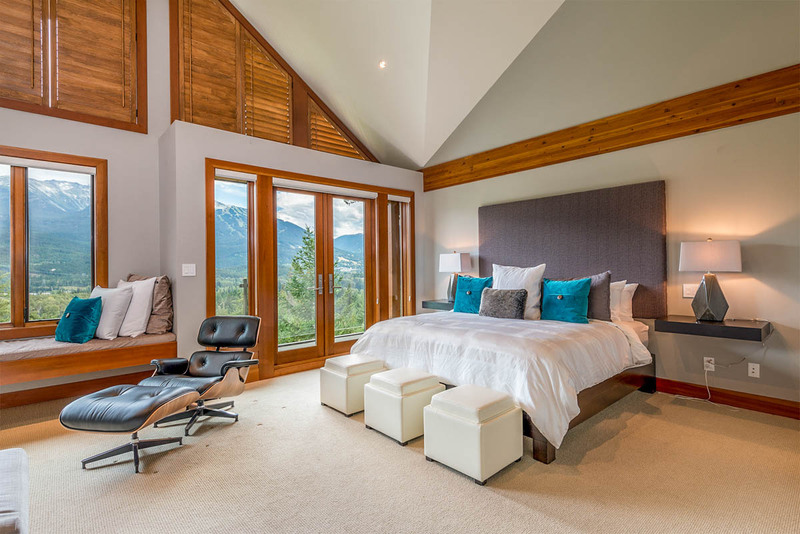 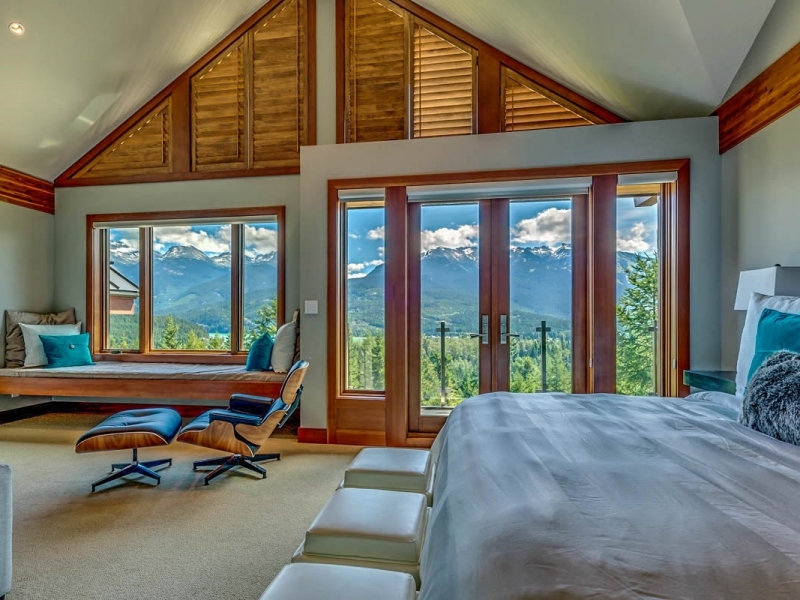 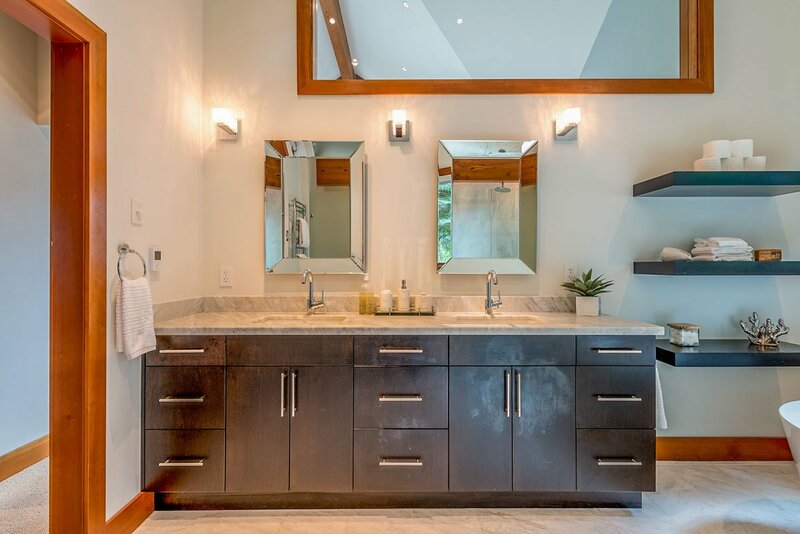 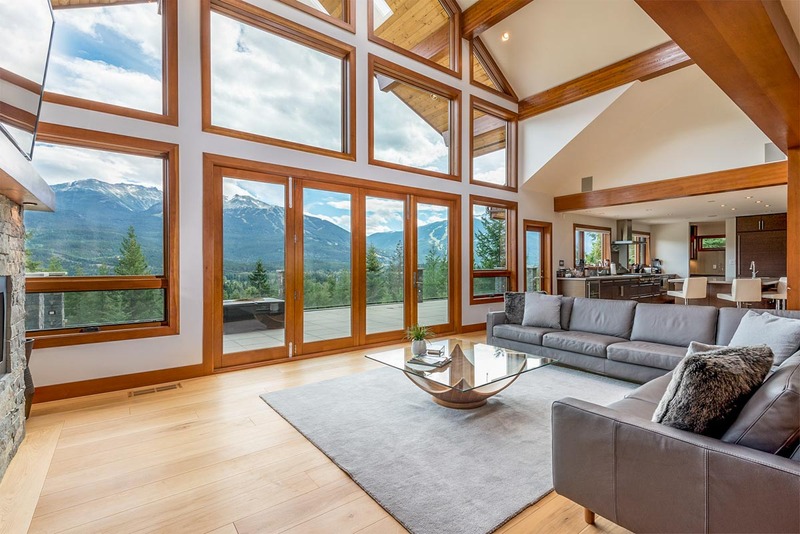 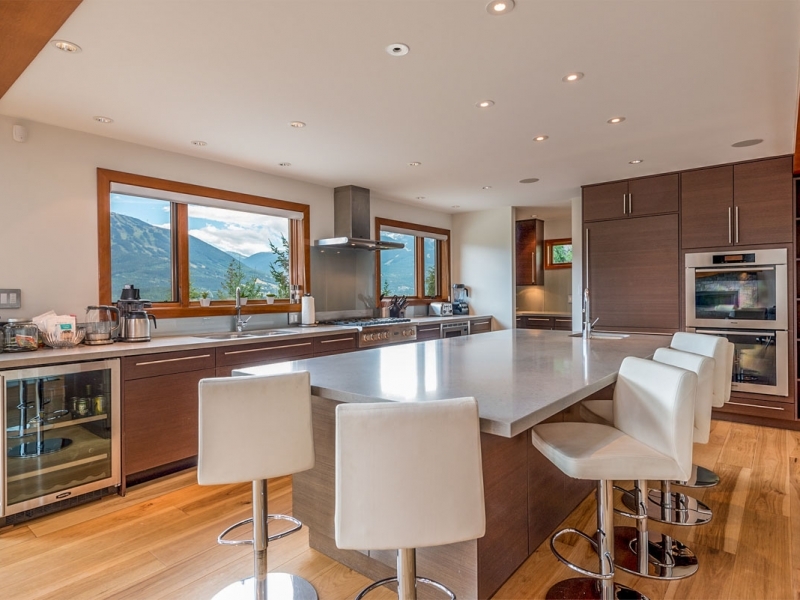 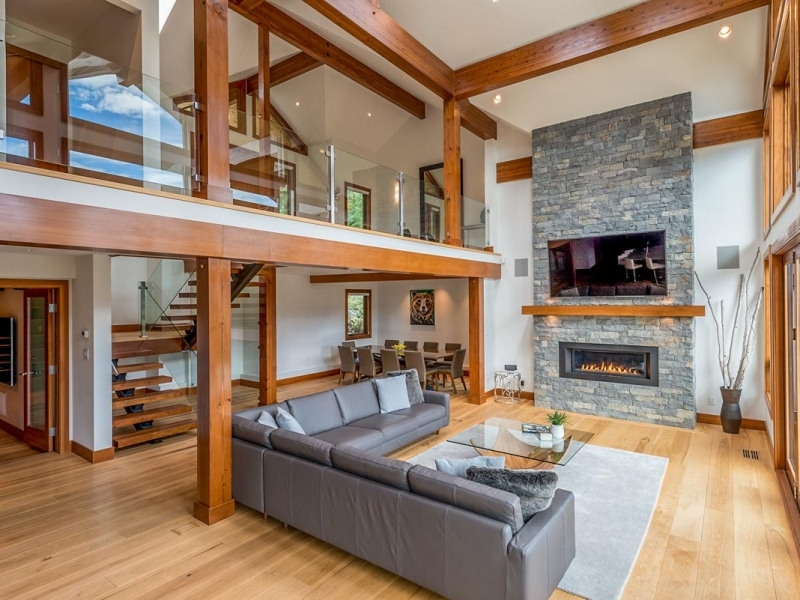 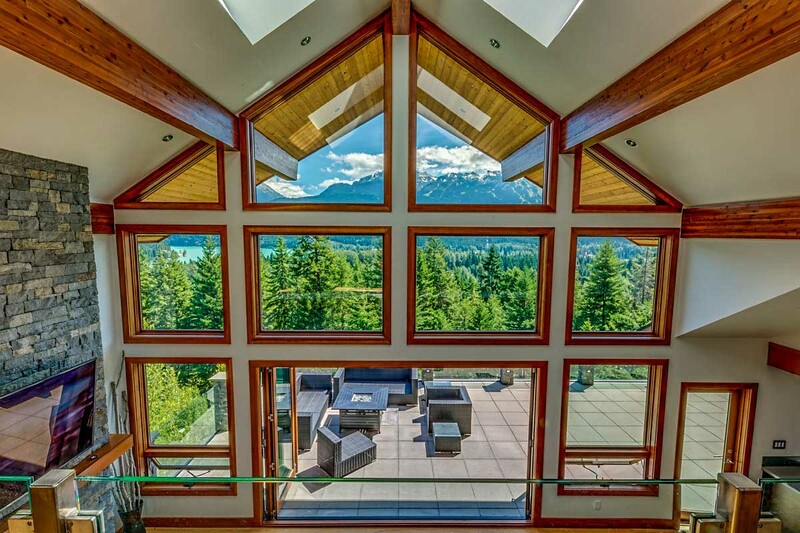 This beautiful home was extensively renovated in 2010 to a luxurious, modern standard while still retaining the character of a true Whistler ski chalet with log construction throughout. 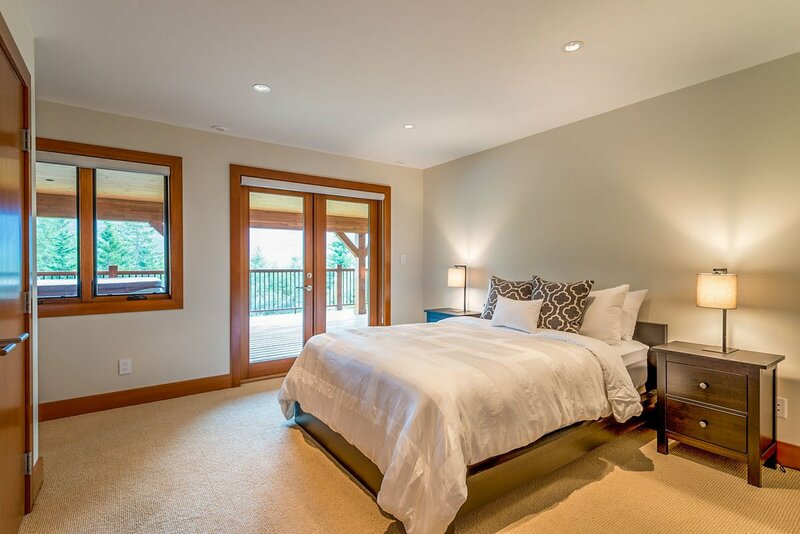 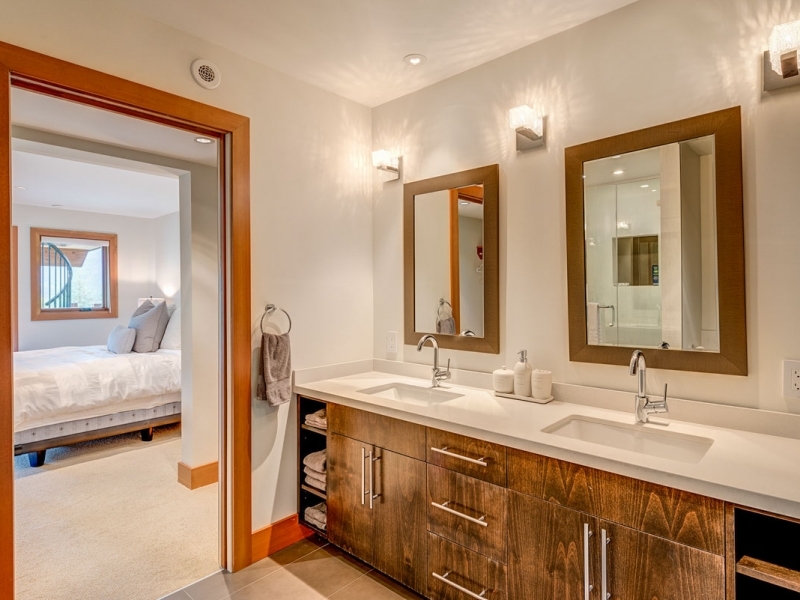 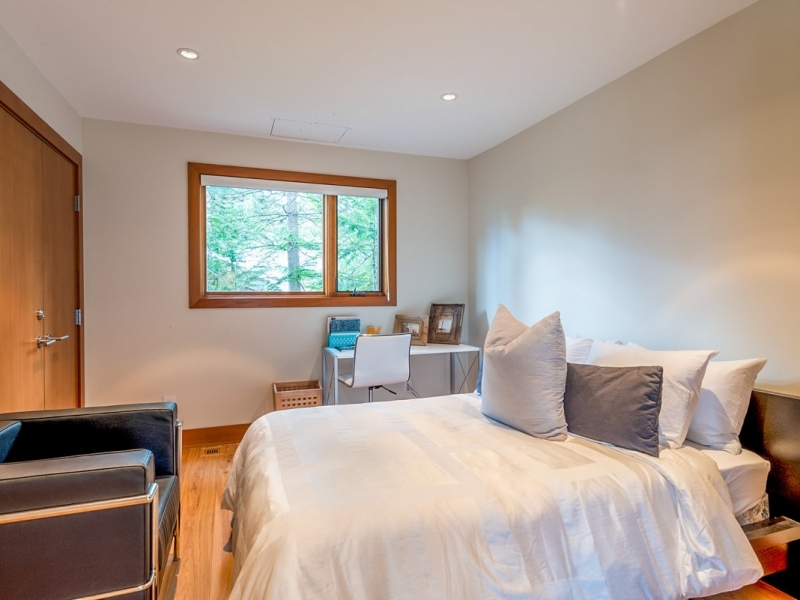 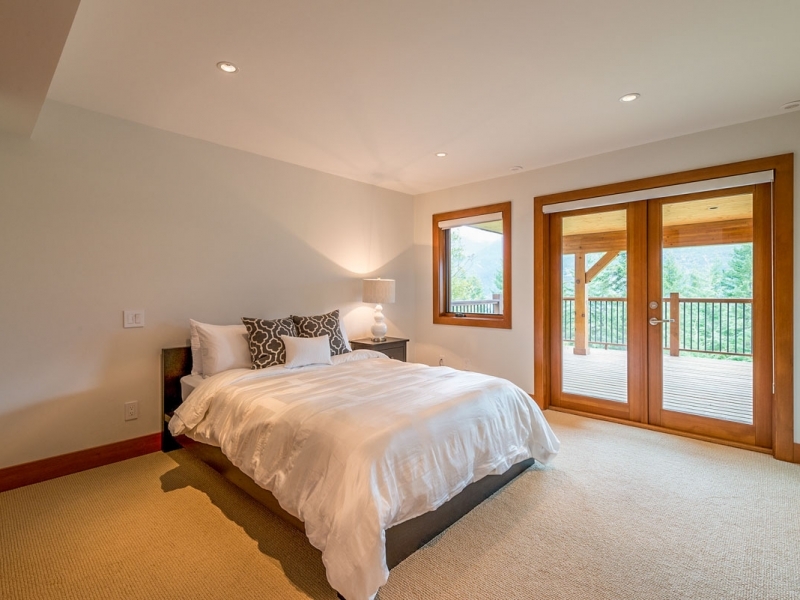 Enjoy two spacious master bedrooms upstairs, both with ensuite bathrooms. 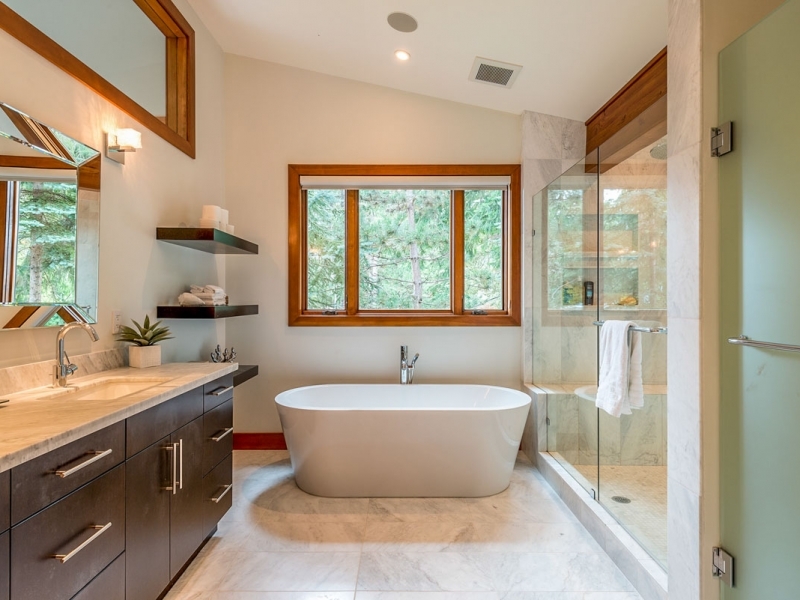 The large main master bathroom has a large soaker tub with view, and separate shower. 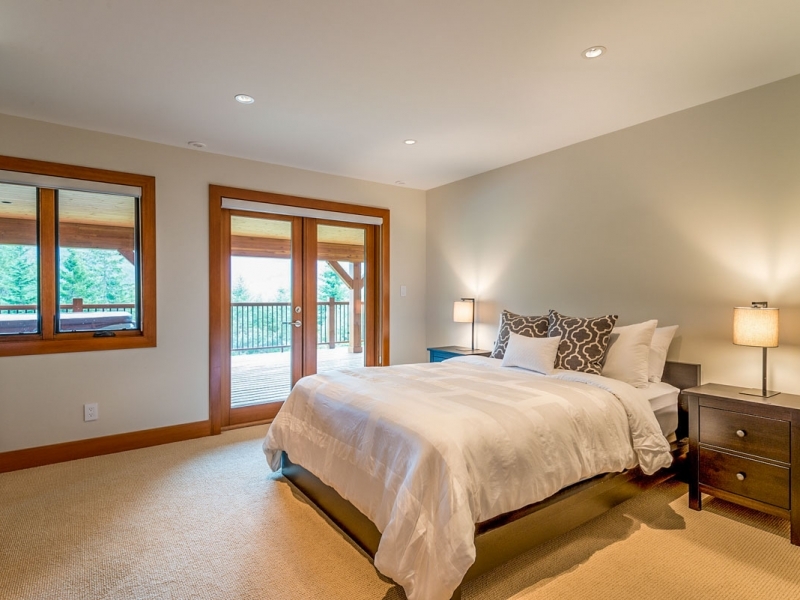 There is also a loft area and den upstairs with additional bedding. 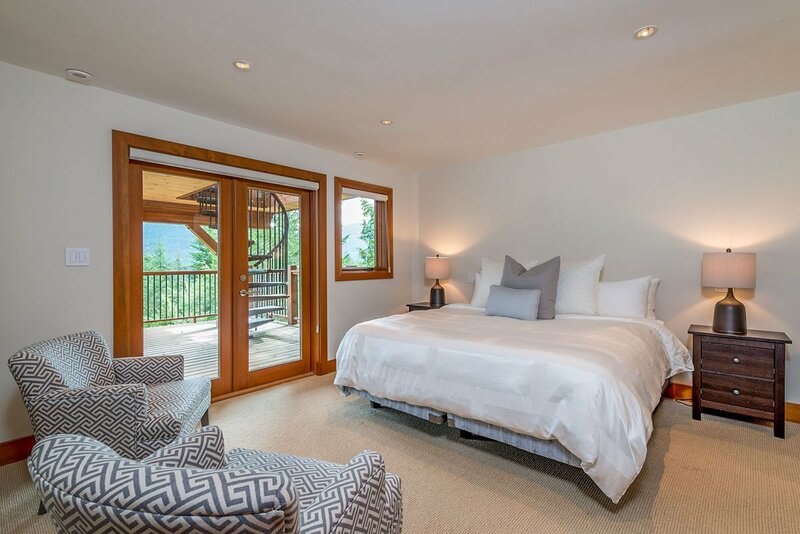 On the main floor, are two guest bedrooms, one with a queen bed; the other with two twin beds. 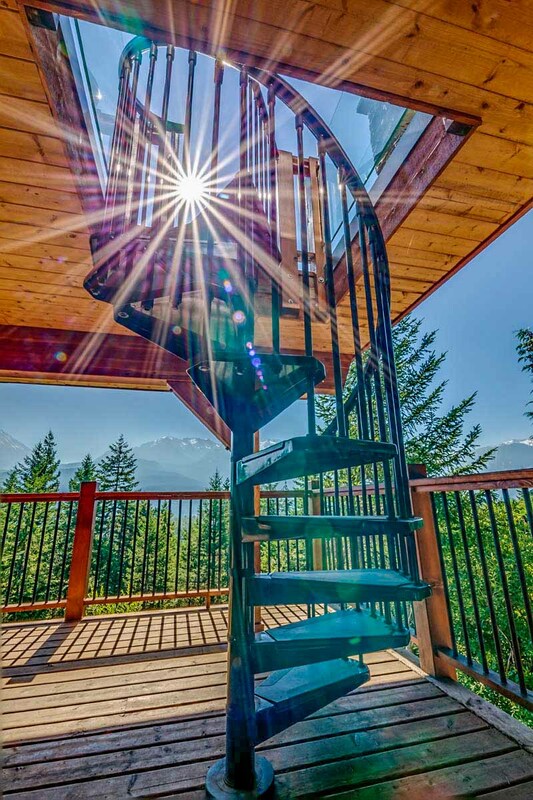 All bedrooms have balcony access. 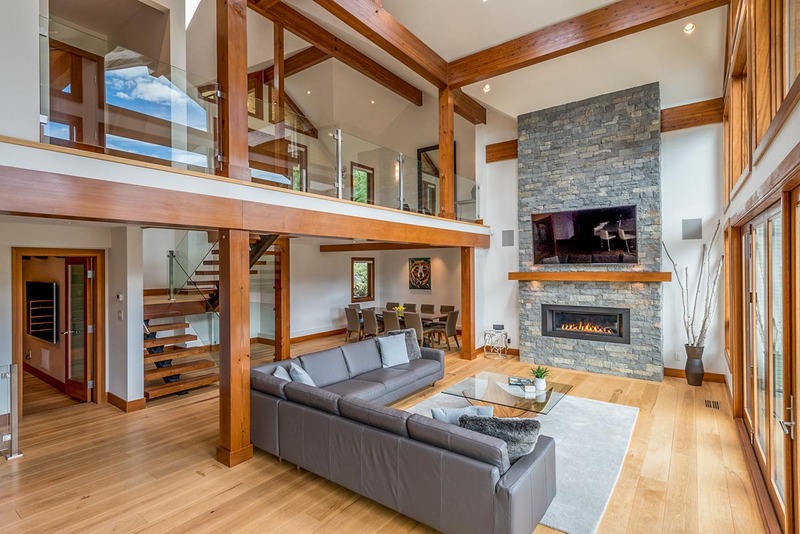 The open concept sunken living room with a large river rock fireplace centrepiece, is surrounded by an expansive wrap-around deck with hot tub and outdoor seating. 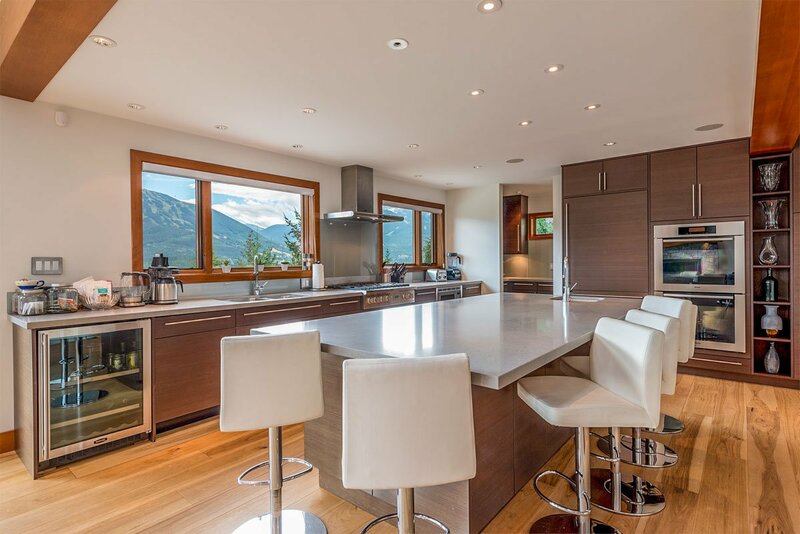 Adjacent is the large and modern gourmet kitchen with all amenities. 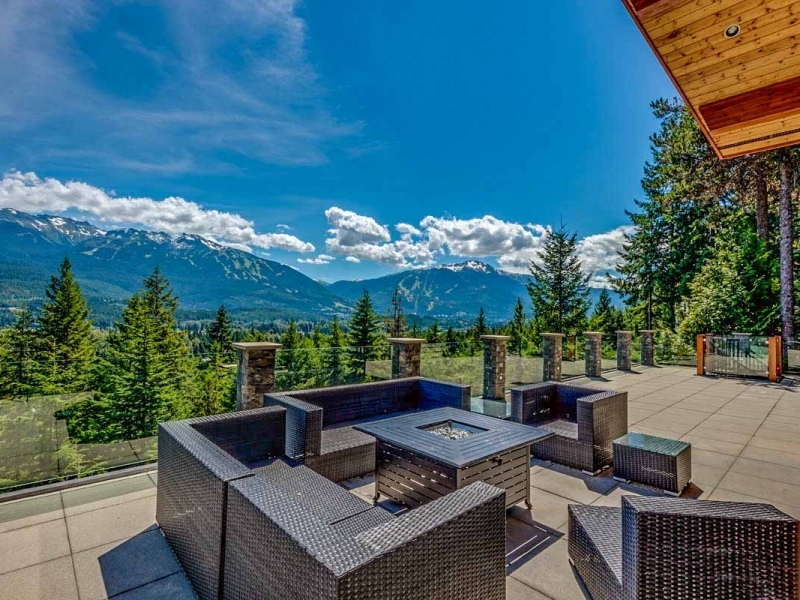 Sweeping mountain views, landscaped grounds, and a large 2 car garage complete the package. 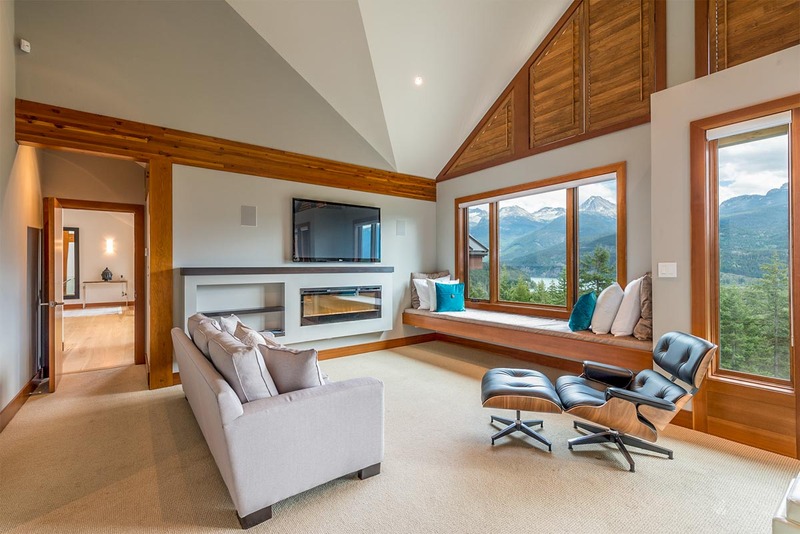 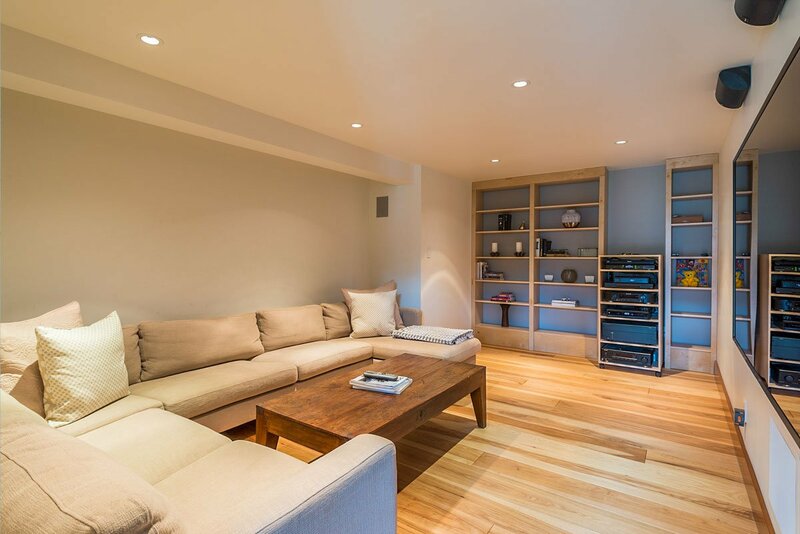 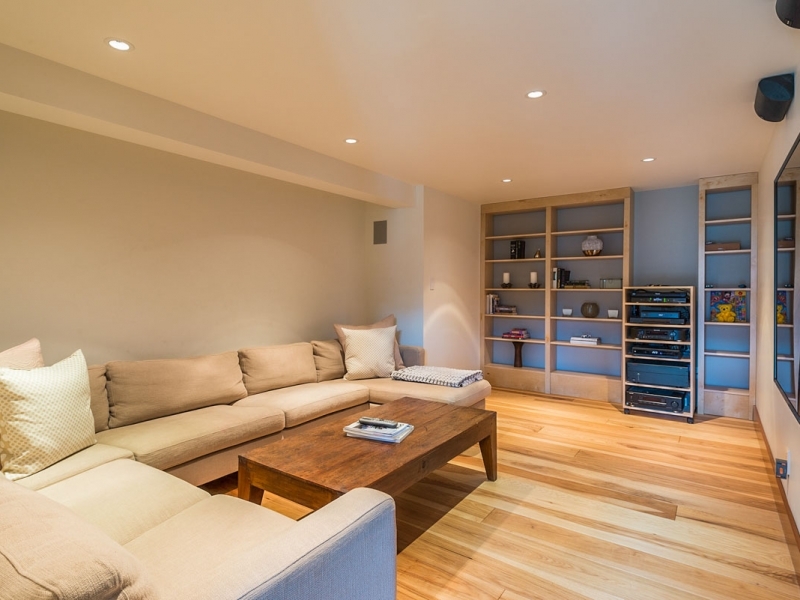 Plenty of space for ski and bike equipment to accommodate a busy outdoor lifestyle. 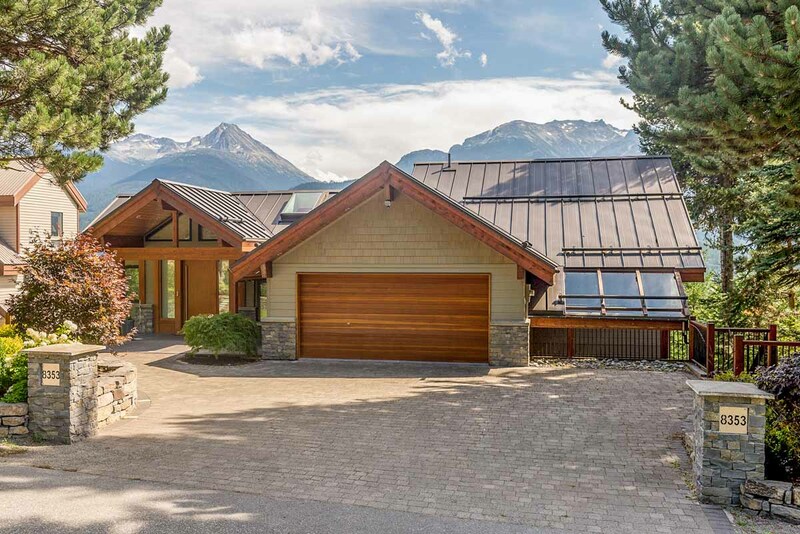 The ideal combination of location, privacy, and modern luxury: this beautiful chalet is definitely worth a closer look. 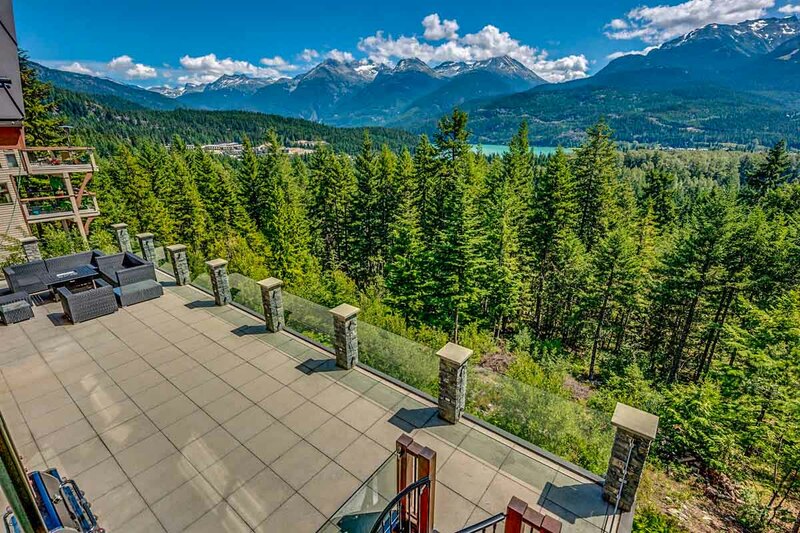 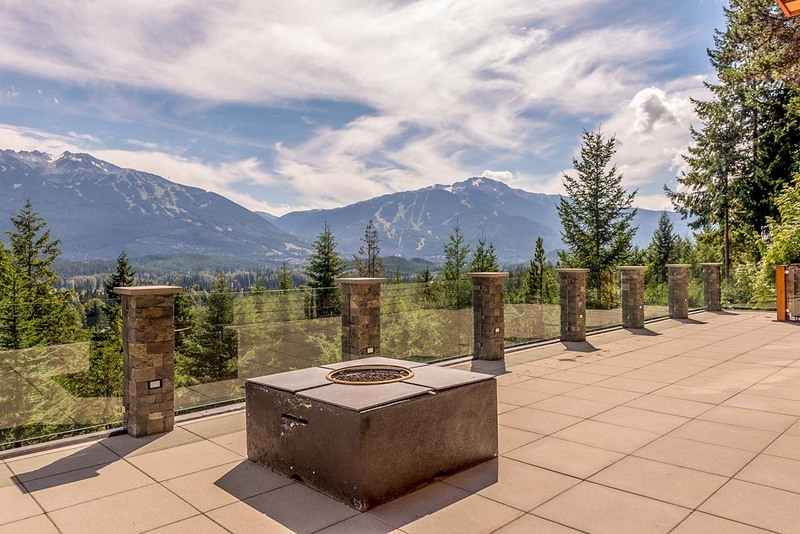 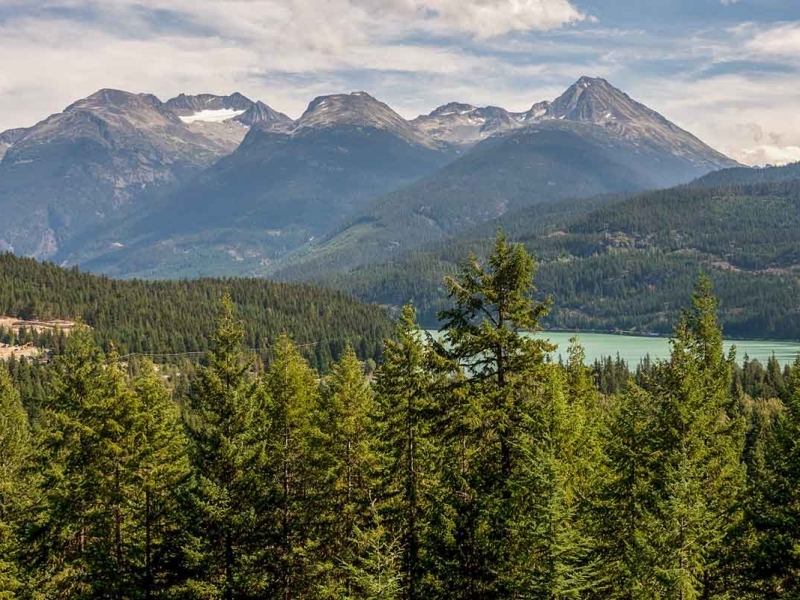 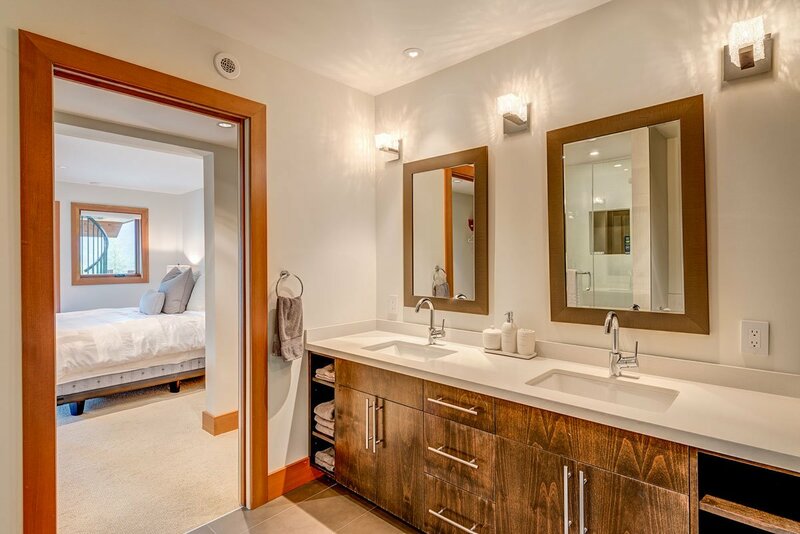 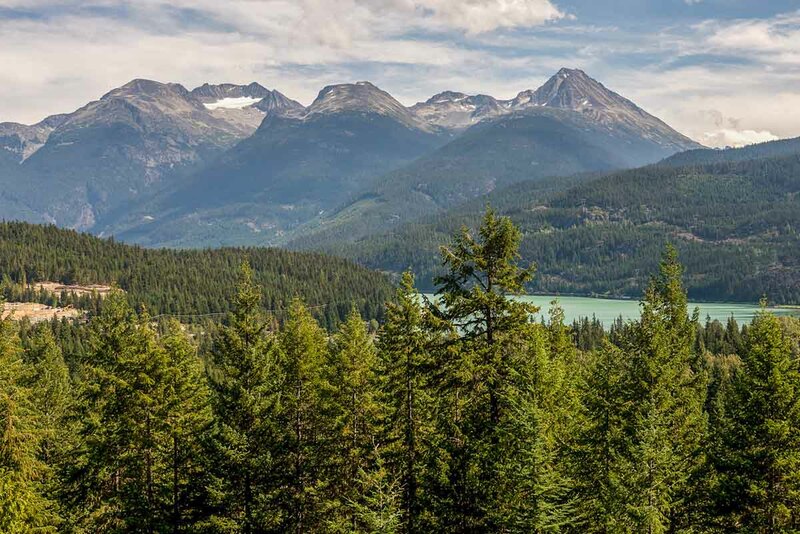 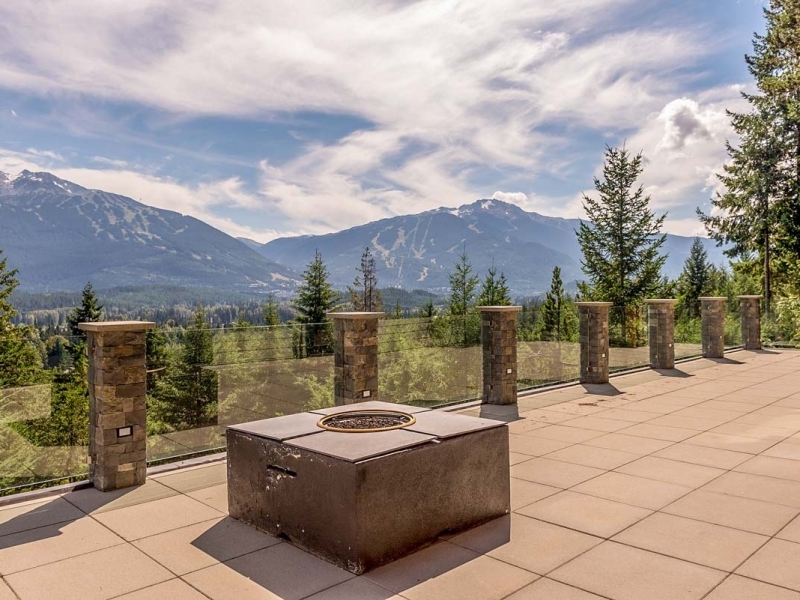 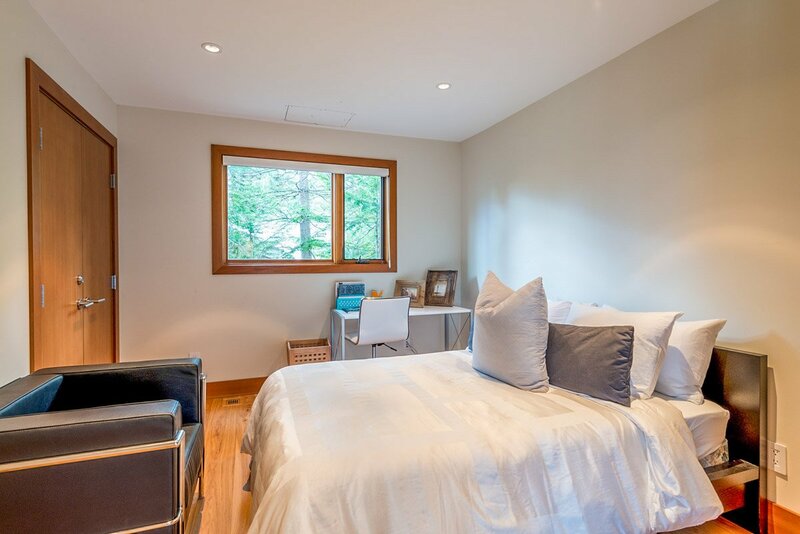 Located in a quiet neighbourhood, relax and take in the scenery and silence of Whistler while still only be a short 8 minute drive to the Village. 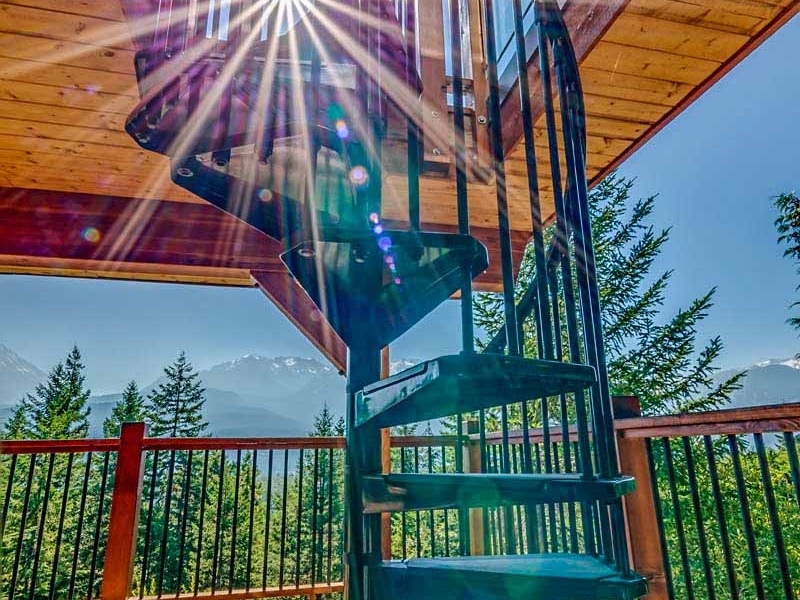 Located north of the Village, experience an easy and quick commute here, avoiding the traffic that commonly bottles up south of the village. 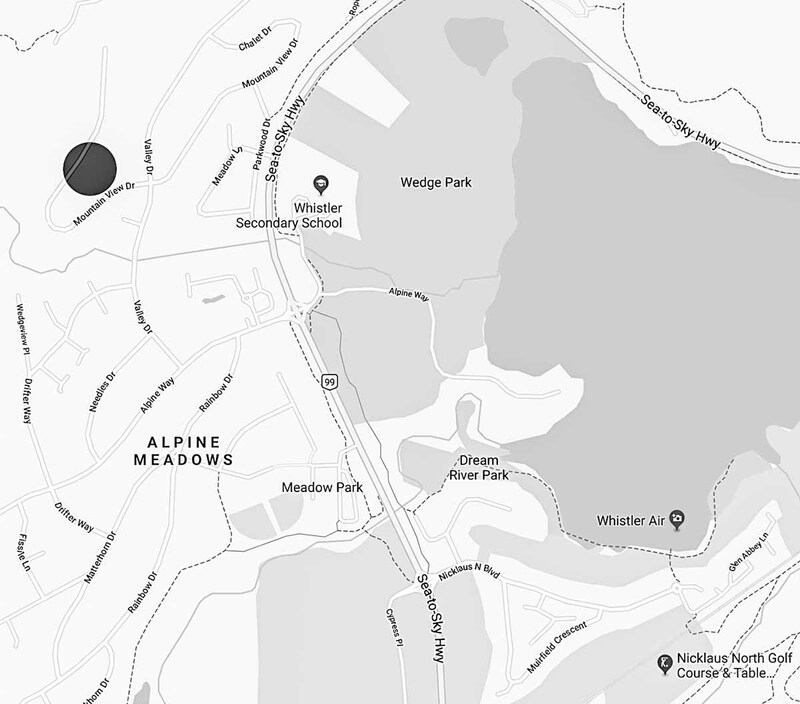 And, with plenty of taxis, getting in and out of the Village is seamless.